Have you ever made homemade play dough with a special scent? I have six children, and I have never made anything but ordinary play dough – and that only once! Today, we set that blight on my Mommy record aside. I made not one, not two, but three batches of Pumpkin Pie Play Dough using variations on the recipe in this post. I’m not sure why I’ve never done this before — it was so easy! 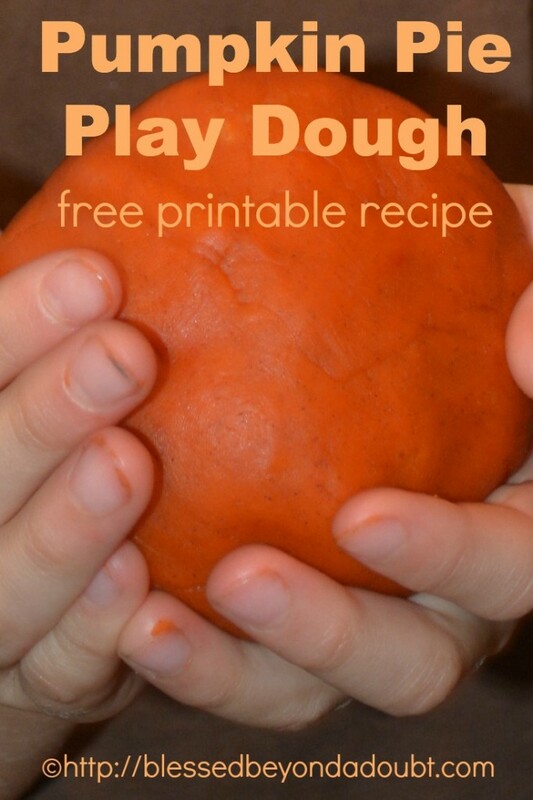 Read How To Make Play Dough; Tips, Tricks and Recipes Galore if you need help! Just because I’m wired that way, we had to make it into a mini-Science experiment. We made the first recipe with a bit of added Vanilla and cinnamon . We made the second recipe with just the added cinnamon. We made the third recipe with no added cinnamon or ingredients. What we discovered was that both the vanilla and the cinnamon made the play dough smell better, but the play dough made without any cinnamon had a much prettier color! In every case, the play dough was enjoyed! Oh, and by the way, I let each of my three boys do almost all the stirring and dumping for this recipe. If you haven’t ever let your children cook with you — take the plunge with this simple recipe. I would measure the ingredient, hold it over the pan, and let them dump it in. They were also in charge of stirring until the very end when the mixture gets too thick for little hands. 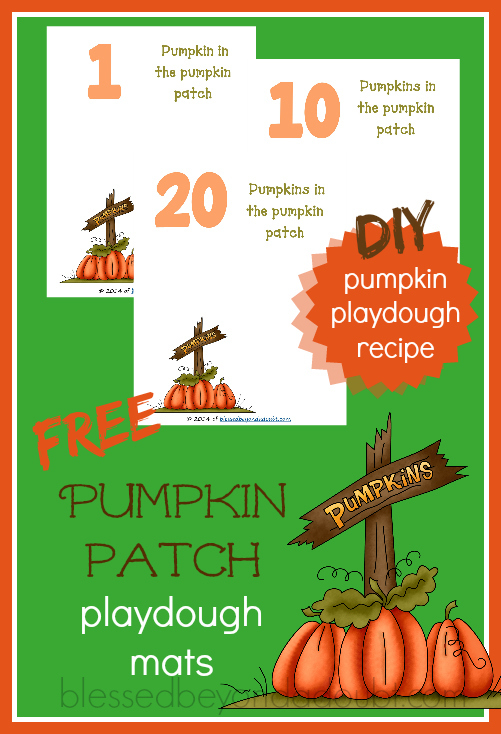 Be sure to print the fun pumpkin patch playdough mats to go along with your pumpkin pie play dough. « 6 Piece Set: Melamine Mixing Bowl Set for 16.99! We made this today and it kept crumpling. Tried more water an it was too sticky. Any idea why? Ours turned out great. I didn’t use cream of tartar (too expensive), and I had the water/oil heating while I mixed the dry. We also made a nice lavender scented play dough with this base recipe. Thx! I’m assuming some food coloring should be added? We will put orange in ours. Looks fun!